First make sure you’re doing everything you can to get a good night’s sleep. Limit naps during the day; avoid caffeine nicotine and alcohol; and stick to a bedtime schedule. But if your sleep disturbances become more persistent it could be chronic insomnia. This is characterized by trouble falling asleep or waking throughout the night that lasts for at least three months and occurs three nights a week or more. Sleep disturbances are often the result of a medical condition. One such condition is sleep apnea a disruption of breathing as you sleep. A common form is obstructive sleep apnea. As you sleep the tongue and throat muscles relax and cause a blockage in your airway. While the chest and diaphragm continue the breathing motion no oxygen is getting to the body or brain. Not only does this disrupt your sleep cycle but over time it can cause high blood pressure and stroke. During waking hours lack of sleep will make you drowsy and lethargic and can even affect your personality. People who are chronic insomniacs can become irritable and lack focus. You may have trouble learning or remembering things and it can make driving dangerous because you can drift off while behind the wheel. People who experience insomnia for long periods also have higher rates of depression. Whether that’s a cause or an effect of insomnia there’s no question that these two things are medically related. Even sleeping less than six hours a day results in more weight gain infections coronary disease and impaired learning than experienced by people who sleep more. And people with chronic insomnia die at over twice the rate of people without it. Polysomnography is the medical term for a sleep study. People with chronic insomnia are advised to consult their physician for this test which involves being monitored while you sleep. The sleep test center is set up to be comfortable and relaxing like a hotel room. You’re encouraged to wear cozy sleepwear and bring along things that help you relax. You’ll be connected to test equipment by wires – this is painless and the technician will adjust them to be as comfortable as possible. Most sleep centers also record your sleep process via video cameras. Brain waves are measured as are chest and abdominal movements blood pressure oxygen levels and body movements. If you snore the frequency and severity will be noted. And some people experience body movement disorders or sleep-related seizures. All this will be recorded in detail and analyzed by a medical specialist. If you’re diagnosed with sleep apnea the treatment will depend on how severe it is. For those with mild apnea lifestyle changes like avoiding alcohol and certain medications can help. Losing weight or adjusting your sleeping position might also be recommended. For those with pronounced cases of obstructive sleep apnea a continuous positive airway pressure (CPAP) device may be prescribed. This is a small air mask that fits over your nose while you sleep to keep air pressure flowing into your throat so it doesn’t close up. In some cases surgery may also be recommended. Good sleep doesn’t just make us feel better it’s essential to our health and happiness. 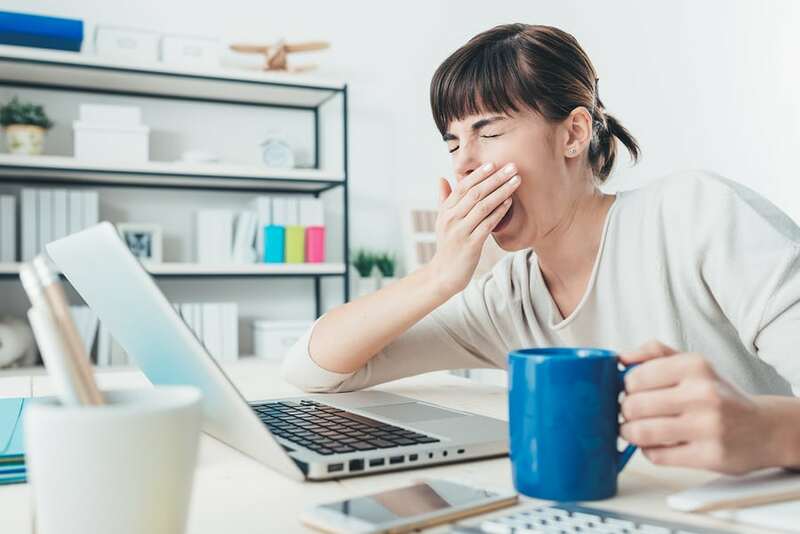 If you find yourself feeling sleep-deprived in spite of your best efforts to rest you owe it to yourself to find out the root cause and get treatment. Contact Reid Health for more information about sleep diagnostics and how you can schedule a sleep study.